Many people had their favorite moment at the Bengali Street Fair (Bangladeshi Mela) here in Kensington on the 26th. Some people liked the food others liked the traditional clothes. I for one liked the music. 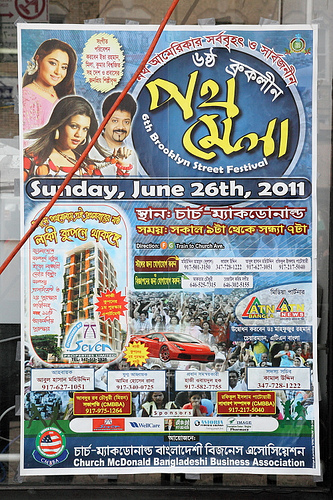 Organizers had set up a huge concert stage with performances of traditional Bengali music. But I have to admit the food was up there as well. If youa re missing the music...I found a great website for Bengali Music!